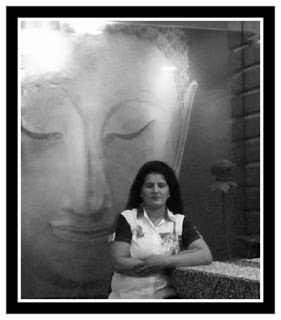 Narmada-imaging. 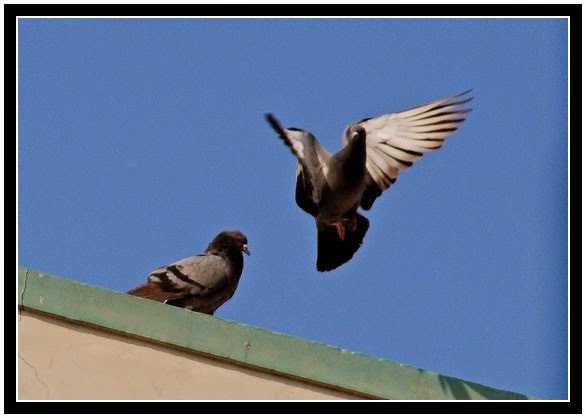 A photo spot: Pigeon couple.....(post no.140). The sparrows are easier target....but near homes, in trees or house walls the pigeons are easily available for clicking photographs. 2. Here I hav caught one in action, while other spouse may be thinking like us.......''AB KAB AAOGE''....Oh no u are here only...love u darling, is the conversation they may have. 3. In such pictures, the photography rules are easily observed.....one at one corner, another at other.....there is dividing line of wall, which is a support for their stay......AND both are at rule of thirds, thus making a balance in the photograph.....The bg is as usual blue sky without any filter....EXPOSURE ON APERTURE PRIORITY and ISO400.